What a pleasure to immerse myself in images of Lake Como for this painting along the back wall of the restaurant adjacent to the boutique Da Vinci Villa Hotel in San Francisco. 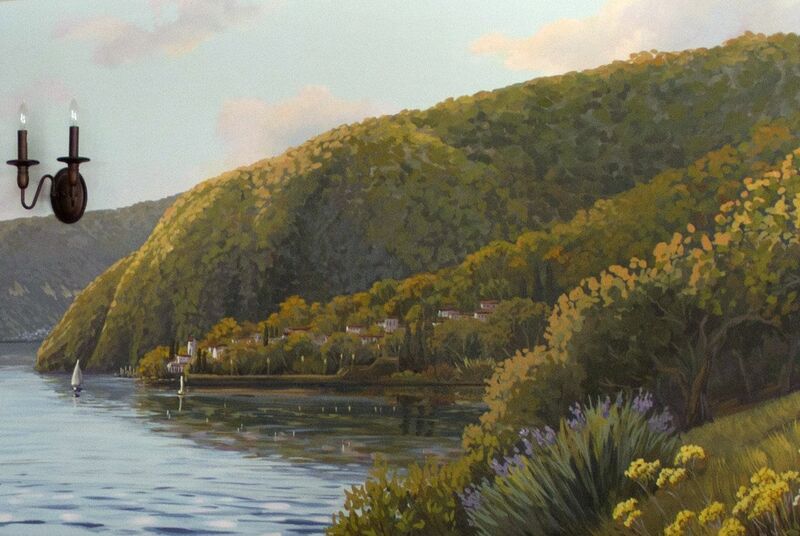 I created a peaceful scene of Lake Como, Italy along the length of the back wall. My aim was to create a warm, classy backdrop for the evening diners when the lights were low, and also something that would provide a beautiful view for the breakfast crowd to wake up to.